Nelson River Construction began constructing sewer and water facilities and soon expanded to concrete and asphalt paving. They are a Winnipeg based company that operates inter provincially with expertise in many areas of heavy construction from tunneling, to construction of lift stations and pump houses. Their existing masonry building was 8,980 sq.ft of shop space with a welding bay. For the building addition we were required to construct a 4 hour fire fall due to the overall suare footage of the overall space. 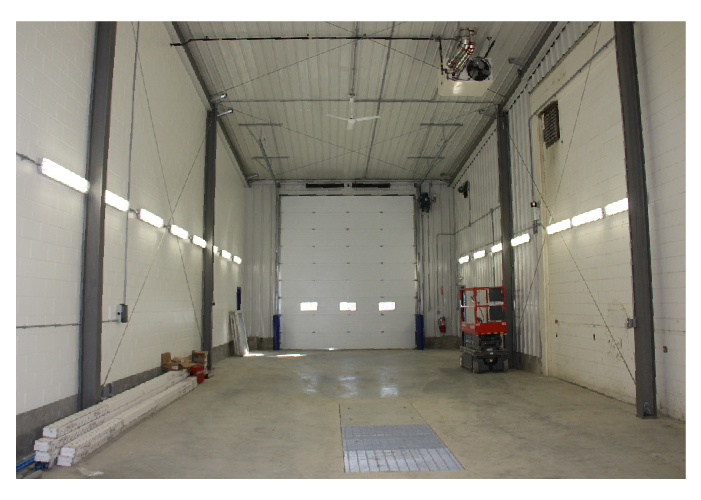 The new shop area consists of an extension to the existing welding bay, truck wash bay and large shop with 23’-6” eave height and a 10 ton crane.